Disclosure: Thank you to the #FreshTastyValentines sponsors for providing the giveaway prizes free of charge. These companies also provided the participating bloggers with samples and products to use for #FreshTastyValentines recipe development. (In this post in particular, I am using Sauvignon Blanc I received from Woodbridge by Robert Mondavi and herbs from Gourmet Garden in the recipe. I have an ongoing relationship with Gourmet Garden and was compensated by them for this recipe.) All opinions remain my own. Shhhh! C’mere! I’ve got a secret! 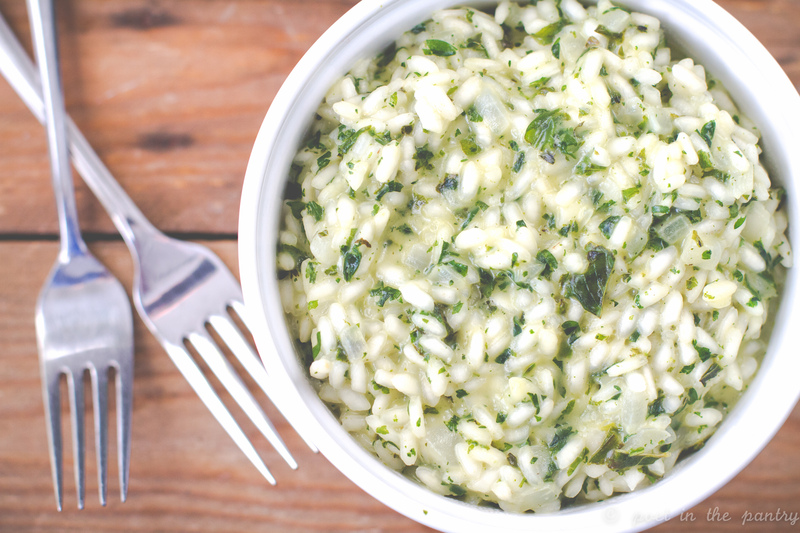 Everything you thought you knew about risotto is wrong. It may seem like the sort of side dish you’d find on the menu at a pricey restaurant, hidden away because there’s some sort of secret magic that makes it more desirable than regular ole rice. But it’s a lie! Why? Because it’s REALLY easy to prepare. Honest! Consider it the mac and cheese of the rice world…but ultimately even simpler than that. Just plan on 20 minutes at the stove and you’ll have a high brow accompaniment for your sweetheart’s dinner that’ll score you bonus points…without really sweating it. I bought into the hype for years that I could not make risotto. Gordon Ramsey will scare you out of attempting just about anything. But reality TV isn’t real, and a lot of things in life that seem complicated or scary turn out to be quite attainable, if only you’re just a little bit patient. 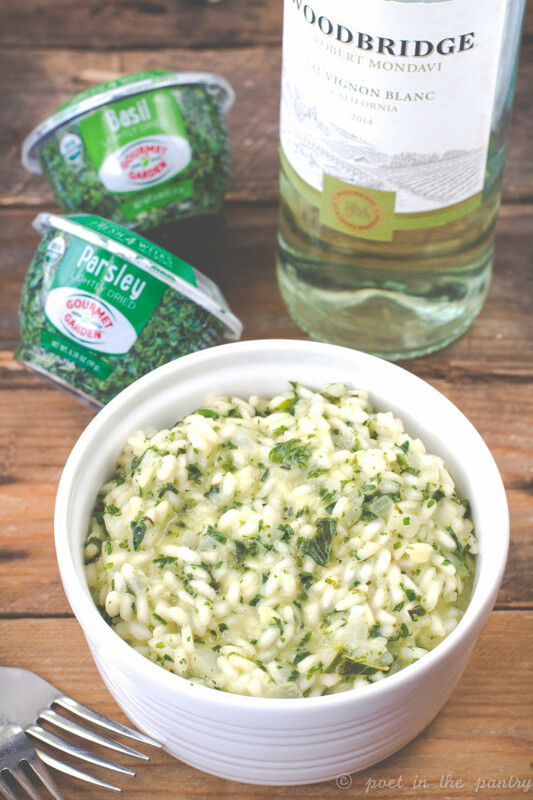 I have two more #FreshTastyValentines sponsors I’m highlighting in today’s recipe for Herbed Risotto! 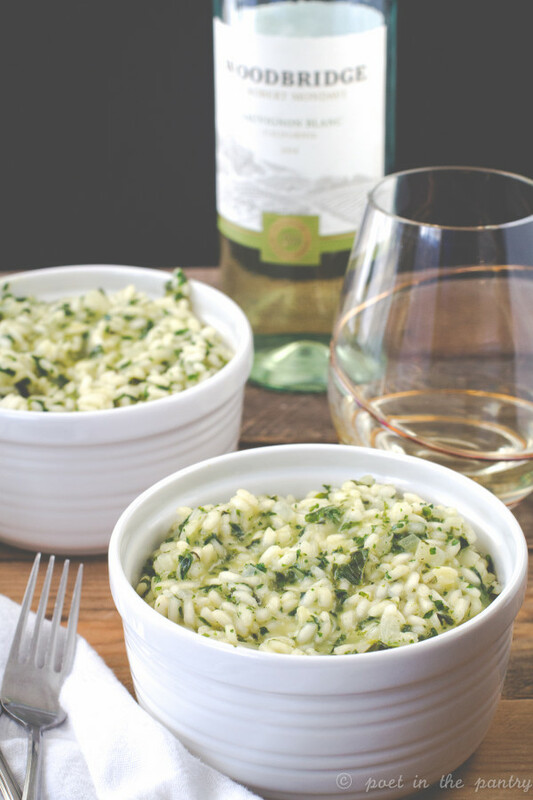 I’ve chosen to use Woodbridge by Robert Mondavi’s Sauvignon Blanc in this recipe, as most risottos start with a cup or so of wine. I think it gives the final product a nice flavor, but if you’re strictly alcohol-free, feel free to substitute with additional chicken stock. The herbs are simplified with Gourmet Garden’s Lightly Dried parsley and basil. I love how you have the ease of dried herbs, but with so much more flavor…without the hassle of handling fresh herbs! In a 2-quart pot, bring chicken stock to a simmer; turn temperature down and keep hot. In a 2-quart nonstick pot, melt the butter over medium heat. Add the onion and cook until tender. Add the rice and toss to coat, cooking for 30 seconds or so. Add the wine and start the timer for 20 minutes. Simmer and stir frequently to prevent the rice from burning; once the wine is absorbed, add 1 ladle of chicken stock. Continue stirring and adding the stock when the liquid is absorbed, 1 ladle at a time, until rice is al dente and all the liquid is absorbed. Remove from heat and add the herbs and cheese, stirring until combined. 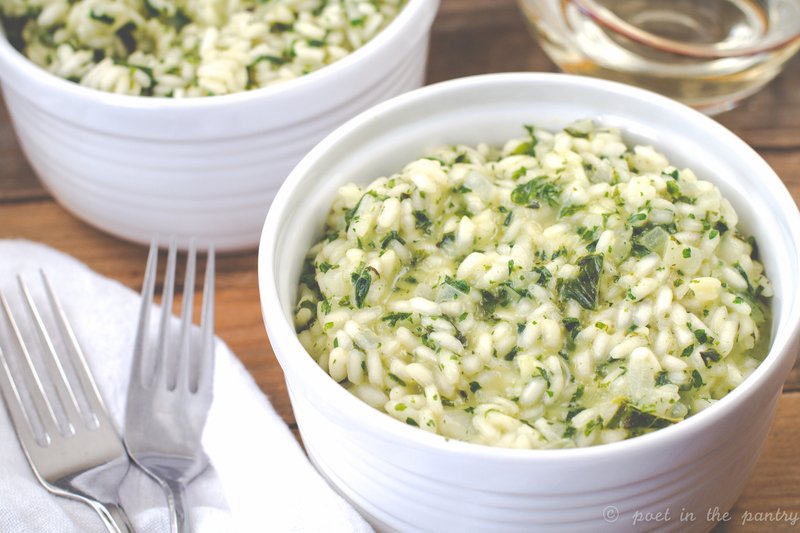 It's important to serve the risotto right away, as it thickens the longer it sits. To reheat leftovers, add a touch of butter and microwave in 20-second intervals. Don’t forget to enter the big giveaway with FOURTEEN different prizes!!! The #FreshTastyValentines Giveaway is open to residents of the United States and is void where prohibited. Giveaway will run from February 1, 2016, to February 8, 2016. Winners must be 18 years of age. Winners will be notified by email. I need this risotto on my table asap! What a lovely recipe! My boyfriend and I go for brunch on Valentine’s Day as to avoid to crowds.. And it’s our favorite meal 🙂 this year we are spending the night making a pizza from scratch! 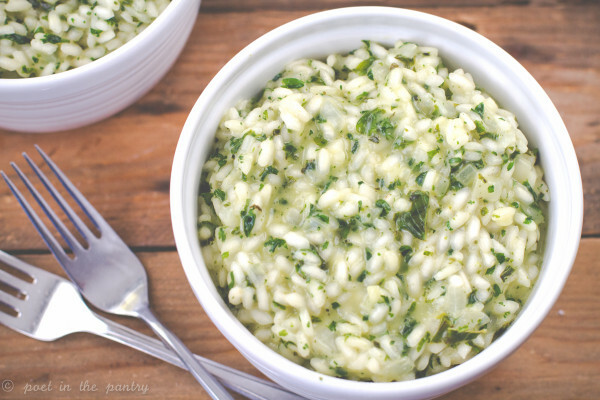 We love risotto and this sounds a tasty version. I’ve got a risotto to post up soon for this event, too. Looks like we were on the same the wavelength! A beautiful use of the products, perfect for any special date night in.